I love a good furniture makeover. Anyone who knows me also knows I love a good bargain. Put the two together and this is when I am at my happiest - up-cycling bargain furniture finds. 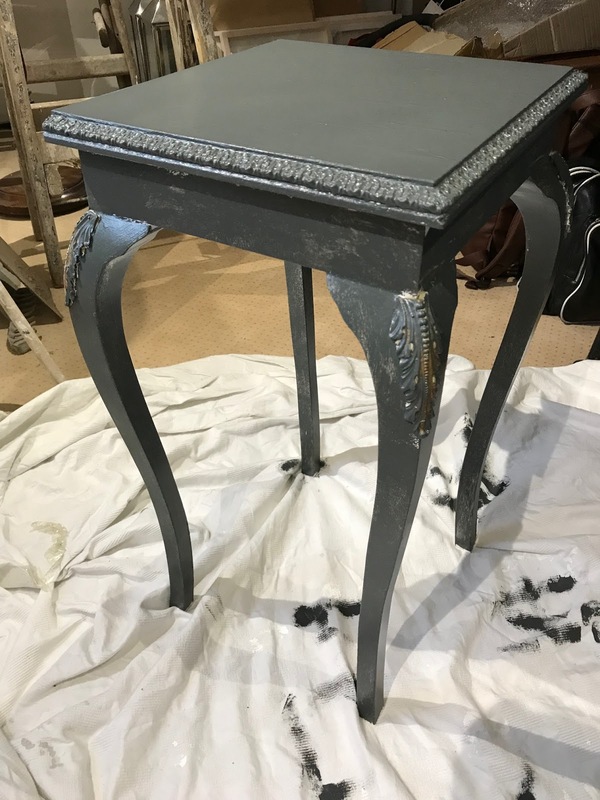 In this post I am sharing my bedside table makeover. 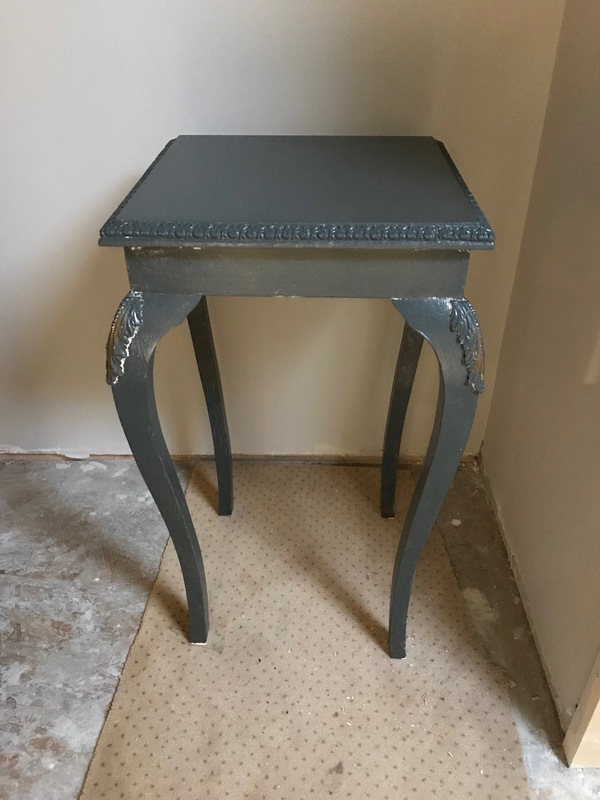 I recently started decorating the master bedroom and had been on the hunt for bedside tables but couldn't find anything that I could (a) afford and (b) really liked. 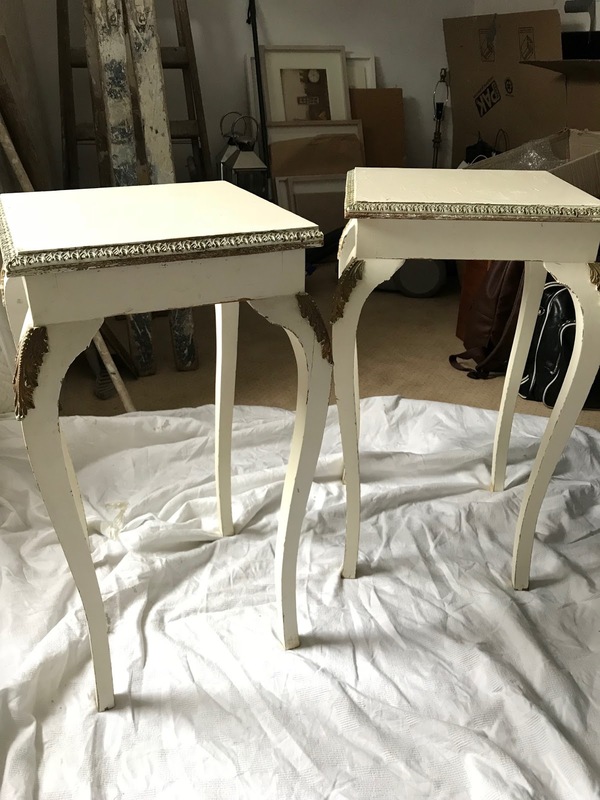 I am trying to do most of the interiors on a budget, so I turned to my favourite website Adverts and eventually came across a pair of french style side tables. You need patience when searching online, but I also love to check charity shops and online auction sites for bits and pieces for the house. If they require a bit of work, you will usually find a bargain. These tables cost €20 each - €40 for the pair. Complete BARGAIN for bedside tables. 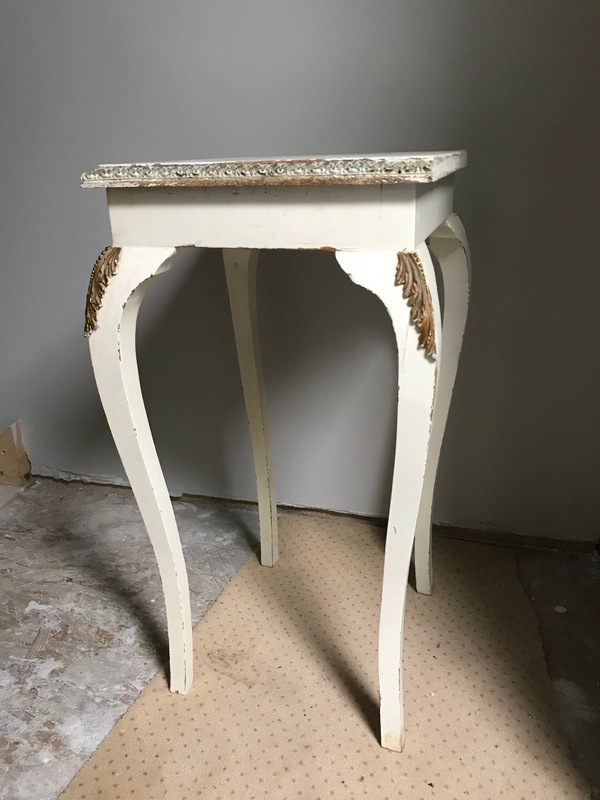 They were very sturdy and had some lovely moulding detail on the tops of the curved legs but the paintwork was chipped and dirty and they badly needed a makeover. I wanted something that wasn't too large in the room, but had enough space for a book, a glass of water and most importantly, my phone! 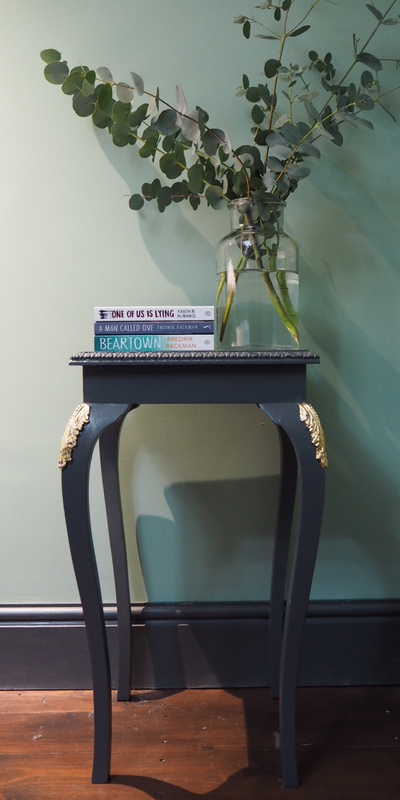 The colour scheme I have for the master bedroom is a dark, moody, green/grey pallet so I used Farrow and Ball Down Pipe paint I had left over from the woodwork in the bedroom. But first I had to clean the tables thoroughly and give them a light sand and a coat of primer. Once I gave them a coat of primer, I left them to dry overnight. The primer immediately cleaned them up and they didn't look half bad, but I was determined to paint them dark so ploughed ahead with the first coat of Down Pipe. These tables took three coats of paint. I left a day in between each coat, mostly because I was tackling this project in the evenings after work. The paint I used was a satinwood, so there is a slight sheen from them, which I like. You could also go for a matt finish. Once I had the last coat of paint on, I focused my attention on the moulding. 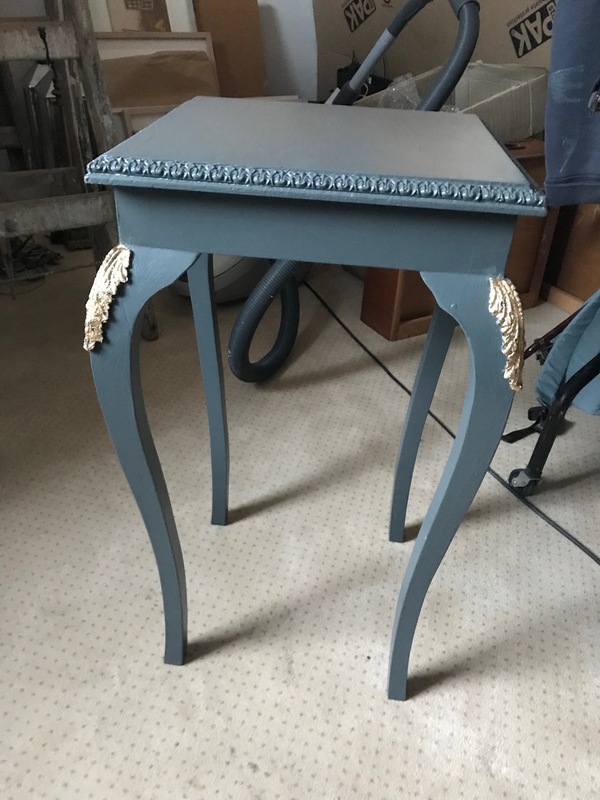 If you have furniture and would like to add detail like this, you can purchase it from shabby.ie. 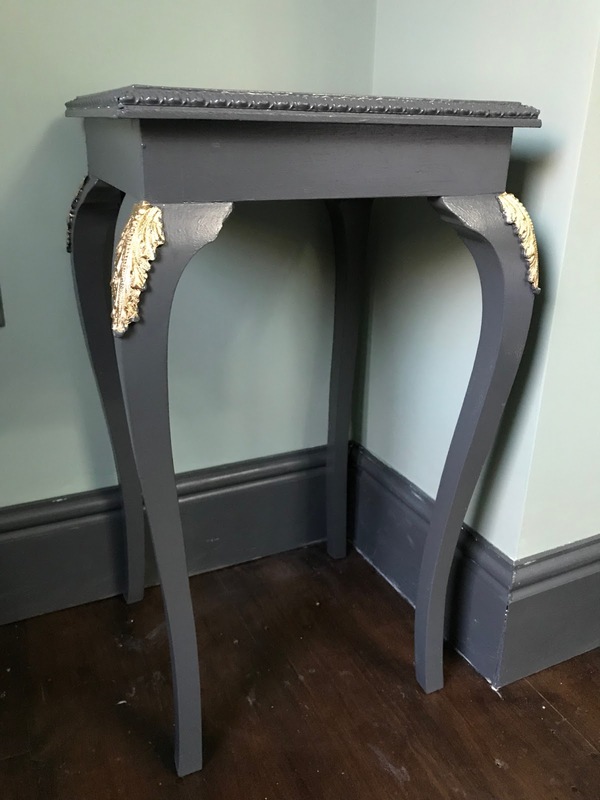 I decided to have a go at gold leafing this detail and I am SO glad I attempted it, because it really brought out the detail and makes the tables look more expensive than they actually are! 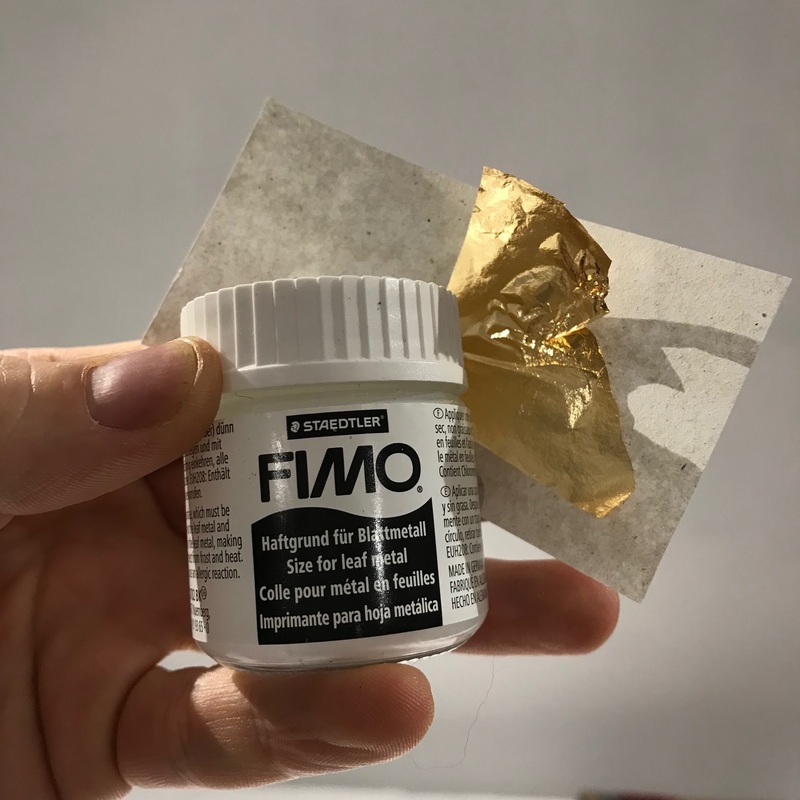 The gold leaf I purchased from eBay and the glue I got from my local Art shop. 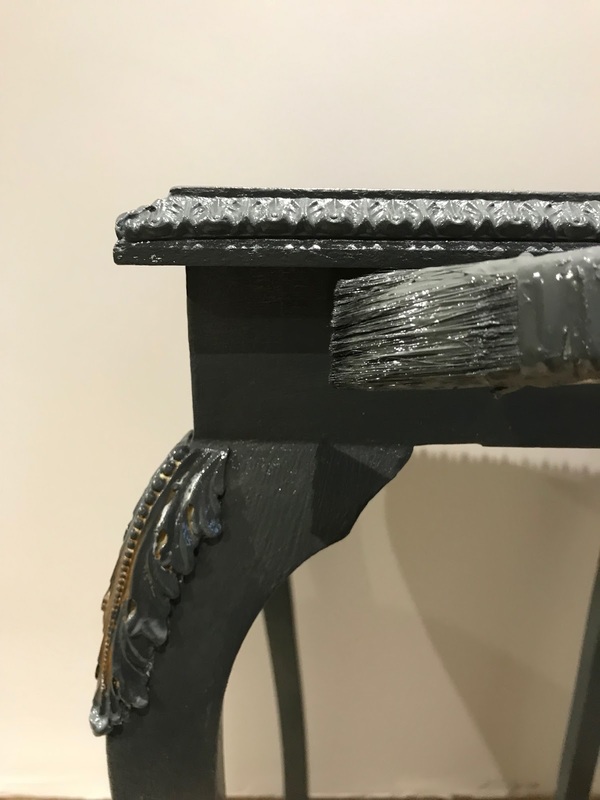 To add the gold leaf, I painted the moulding with the glue, left it for 15 minutes, then used a small brush to apply the small sheets of gold leaf. This is the tricky part. You need patience and clean fingers, so it doesn't stick your hands instead of the table! Leave it to dry for an hour, then coat it with a very thin coat of the glue - it will dry clear, don't worry. I chose not to wax these tables, I left them as they were. They will not be getting huge use and the satinwood paint helps give it a cleanable surface. The gold leaf really makes the molding pop against the grey. I have loads of gold leaf paper left over, so intend on up-cycling a lamp next, which I purchased from a second hand market. After that, who knows. 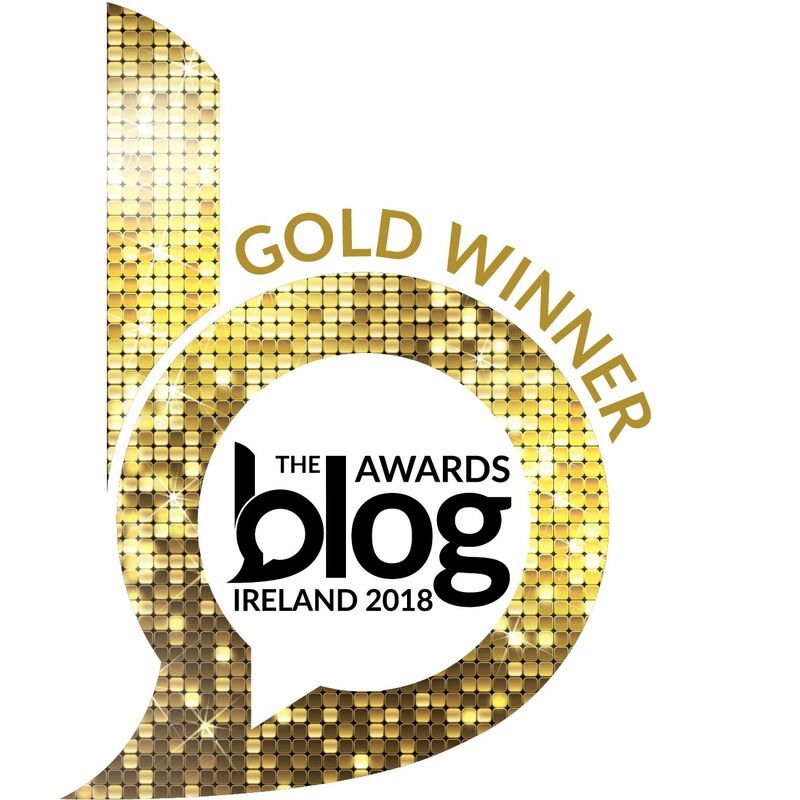 If you stand still long enough in our house, you may get gold leafed also! I am really happy with how these tables turned out. I don't think they were originally meant for use as beside tables, but they work really well. They were probably more plant tables at one point in their lives! I hope you enjoyed this bedside table makeover. Stay tuned for my next up-cycle / makeover project, coming very soon. I hope this shows you that for very little money and a little creativity, you can have something beautiful in your home.